Hayley grew up in and continues to live in Sydney’s Northern Beaches. Having always led a coastal lifestyle, good health and a clean living has always been an important part of Hayley’s life. This passion for better health lead Hayley to study a Bachelor of Applied Science (Naturopathy) followed by a Post Graduate Diploma of Naturopathy at the University of Western Sydney. With over 6 years of practitioner experience, Hayley loves working with her clients to achieve their health and lifestyle goals. 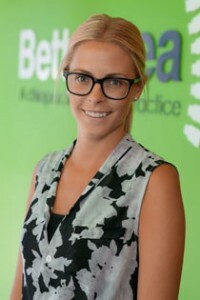 Hayley’s key focus is education: giving clients the skills and knowledge required to self-manage health and experience better health for life. Hayley treats men, women and children of all ages across a wide variety of health issues such as weight loss, digestive problems, anxiety, stress, food intolerances and headaches. Hayley uses a science based approach to naturopathy including the latest assessment tools to gain a deep understanding of her patient’s unique health state. A customised approach to health programming for each patient is provided as an individualised program with a focus on healthy eating and nutrition, lifestyle and wellbeing. Hayley heads up all of our Spring Back to Health programs and speaks regularly on the topics of wellness, nutrition, weight loss and children’s health. She has spearheaded our local schools based initiative on, “Sugar, Behaviour and Neurological Development” which has now been received with great acclaim by over 25 schools and childcare centres in the Inner West of Sydney.